We have been in our house over a year now and in some respects we still have so much to do in order to make this house our home. It will never be ours, not really. But there are things we can do, adjustments that we can make to make us feel like it is. We have spent time recently trying to make Leo's room his own. I still detest the wall paper that is in there but short of pulling it all down and re-decorating (and of course getting permission from the landlord...) we are limited to what we can do. 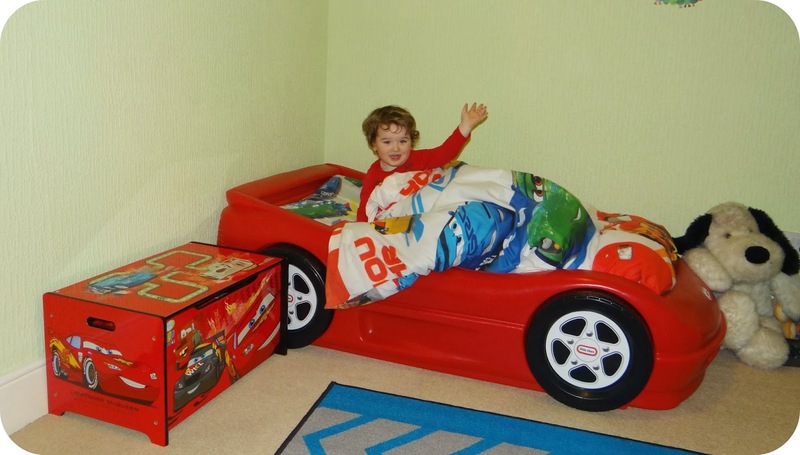 We purchased Leo a new bed, a racing car bed, so I am thinking about getting him some new wall stickers and motifs just to tailor his room more to his age and taste. As for our room it is not too bad. Ideally I would like a different colour scheme in there but sky blue walls make it a airy and light room. We have just invested in a new desk and moved the television from it's original stand onto the desk, this means that Luke can finally install his computer and make use of the television as a monitor. This actually gives us more workable space within the room and I may even take up residence there when it comes to getting blog work completed. We installed a new king size bed in our room last year and it has been my full intention to treat us to some new bedding. This is something that has been pushed to the very bottom of my to do list and as of yet I haven't purchased any, I think this would make a huge difference to our room and would add a touch of colour over the very dull Grey that is currently on the bed. My attention has recently been drawn to the affordable bed in a bag from TJ Hughes that has everything you need for a complete bedding solution. Each bed in a bag set has everything included that you will need to complete the look you are trying to achieve. 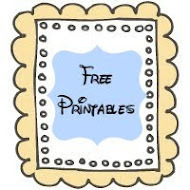 Included within the set you will receive a duvet cover, pillow cases and in some sets even a bed runner. 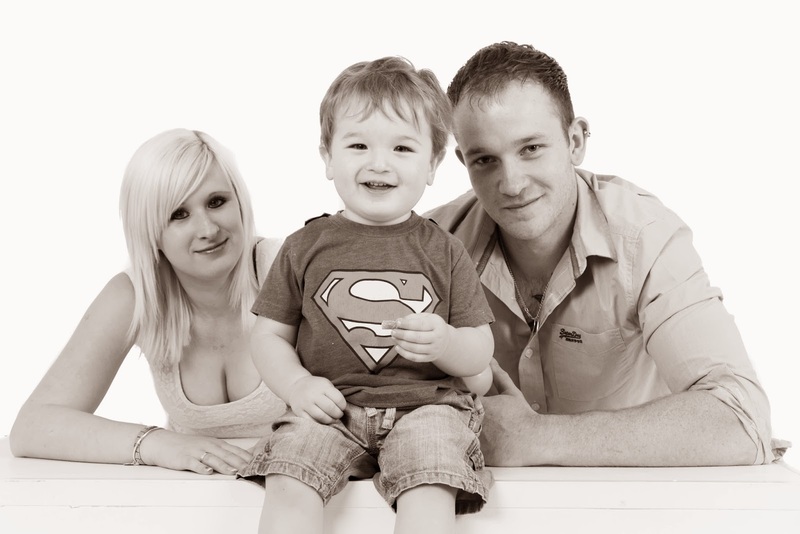 Now we have Christmas behind us and we have already prepared for Leo's Birthday in June, we have some extra pennies in our pockets where we can actually look into purchasing new bedding, lighting or storage. There is so much I would love to do, especially with Spring just around the corner, I would really like to get out into the garden and plant some bulbs ready for them to flower over the next few months. Are you planning any home improvements in the coming weeks? I would love to hear what your plans are and what you will be doing. If I have been a little quiet around here lately, you have my sincere apologies. I admittedly have been found relaxing in front of the television taking my role as a #NetflixStreamTeam member very seriously. I have ploughed my way through Life Unexpected and even started to watch Orange is the New Black, and I am sure Luke will be the first to tell you how I may be slacking in the washing up department! Thank god we have just brought home a dishwasher! 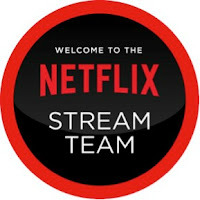 Having been using Netflix for 9 months prior to being welcomed on board with the stream team, I was really excited to get involved. If you are anything like me you will never get to watch live TV, not with a toddler ruling the roost. Everything either gets recorded these days or is watched on demand, this makes Netflix my very best friend, as it allows me to watch what I want, when I want to watch it. The only problem for me is, once I get into a new series I tend to sit and watch it until I run out of episodes, or until Leo's nap time comes to an end. I am not alone in my love for Netflix, Leo has been enjoying the kids section since last summer when all he wanted to do was watch Cars 2. You can imagine Leo's reaction when it was eventually taken down... But now the original Cars feature is online, and Leo makes daily use of this. He will actually bring my iPad to me and demand to watch Netflix! How savvy are these toddlers becoming these days!? We have watched Cars on such a regular basis that not only do I know what the next sentence will be... But Leo does too! Admittedly Netflix is a great morning distraction in our house if I want to buy an extra half an hour in bed cuddling up with my beautiful little man. Last week saw London Fashion Week taking place, and in the spirit of this Netflix joined forces with Natalie Hartley, Fashion Director over at Glamour Magazine. 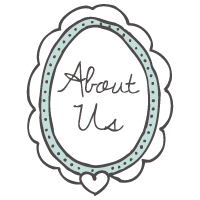 This partnership was created to bring trade secrets on how our favourite celebrities do their hair and makeup, and to help the likes of you and I get the look of the stars. I know that I don't have the available funds anymore to run out and buy the latest magical wonder that is foundation, or replace my hair straighteners instantly if they were to suddenly go *bang*, and I often really study what I am watching and take ideas from the characters, particularly for me 90210. Tip 2 - House of Cards - With House of Cards returning to Netflix for a second series this Valentine’s Day, Claire Underwood’s stylish but minimal look is a great one to copy. To recreate this wear a fitted dress layered over the top of a shirt for an extra stylish detail - this also works as a great cover up for those not wanting to bare arms. Structure is key to this look so make sure clothes are flattering. Go for knee length skirts with a kick hem for a more striking look. Tip 3 - The Bridge - The way to get Sofia Helin’s Scandinavian-chic look is to wear your usual pair of skinny jeans but rock it up with a great three quarter length coat or add a leather biker jacket. Keep colours tonal and simple and add a strong block heeled boot to finish your look. 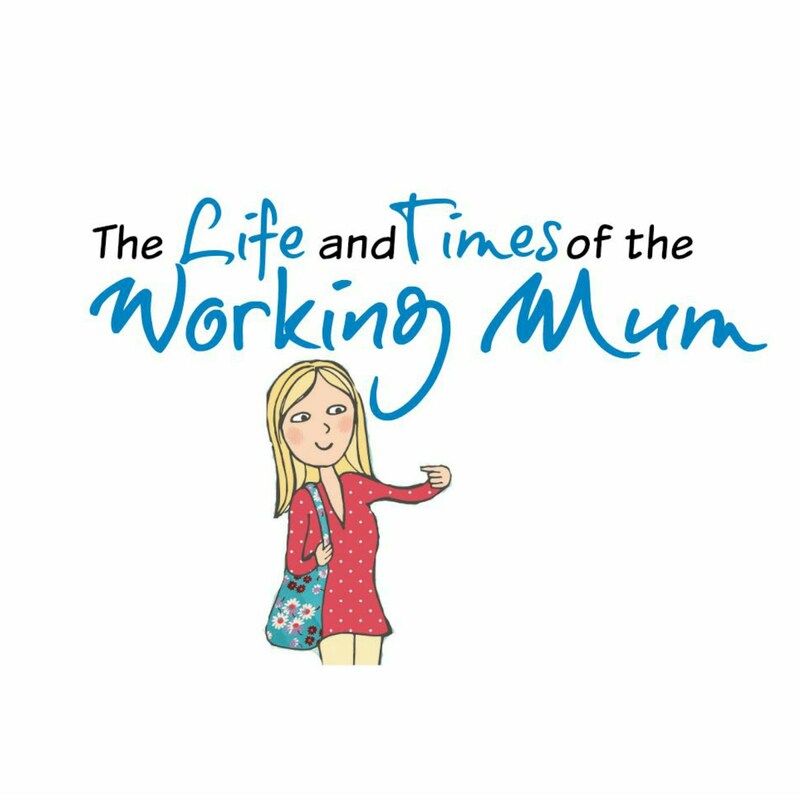 I would opt for a cross body satchel bag, which is a great style for mums as it means you can still use both your hands for other tasks! 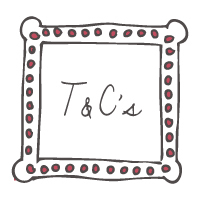 Tip 4 - Confessions of a Shopaholic - Isla Fisher is all about statement designer clothes but I don’t think you have to spend a lot to look good, its how you wear what you have. In this film she would style animal print with bold coloured dresses and even clash pinks and reds. Checks and animal prints are bang on trend and easy to pair with colours. There are no rules here, anything goes! Tip 5 - Annie Hall - Annie Hall is the ultimate style icon for anyone who loves to add a masculine twist to her wardrobe. Quick tip for this look is to raid a male wardrobe for an oversized shirt that can be worn with jeans and a man’s blazer. You can wear skinny jeans if that suits you the most or be true to the trend, and style with a pair of wide legged trousers and flat brogues. Tip 6 - The Help - The easiest way to get the look is to find simple floral A-line dress shapes and add a denim jacket for a modern update. Cropped trousers are a key style worn with a midi height heel. Cut the sleeves off an unwanted shirt and add to a pencil skirt. Mix and match your pastel shades and look out for boxy shaped bags. Tip 7 - The Help - Glenn Close can really work a simple shirt; it’s a classic wardrobe piece and worth investing in with many high street options available. Wear with a loose pair of trousers and a trainer to give it an edge for day or add a simple court shoe and earrings to dress this up for night. A plain white shirt always keeps things looking fresh. Tip 8 - Mr Selfridge - Choose lace, cream and full-length skirts to recreate Rose Selfridge’s look. An easy way to work her style into your wardrobe is to concentrate on the neck area. Adding a high neck blouse under a sweatshirt will instantly update something so ordinary. Keep your hair up to elongate the neck and add a cute pair of earrings to complete the look. Cropped jackets also look great here and can be worn with a pair of jeans. Tip 9 - Iron Lady - Love her or hate her Margaret Thatcher has become a huge style icon of our time. Her distinct trademark piece was her pearls so the easiest way to represent her style is to add pearl earrings or a simple single strand necklace to any outfit, it would even look great with a plain white tee. Opt for a more traditional straight leg trouser cut or add a pencil skirt to complete. Tip 10 - Bring It On: In It To Win It - Prada has overhauled the sports trend this summer and possibly might have even taken inspiration from this film! For an easy wardrobe update invest in a bright pair of trainers and wear with everything! Other quick fixes include wearing a silk bomber jacket, or a sporty all in one that means you don’t have to think too much if time is of the essence! So what do you think of Natalie's style tips? To help celebrate London Fashion Week you may have seen that Netflix have brought an old favourite on board for the kids. Clifford the Big Red Dog. He joined the programme selection on his birthday on February 14th. Leo is yet to watch this, but I think he will be a hit. 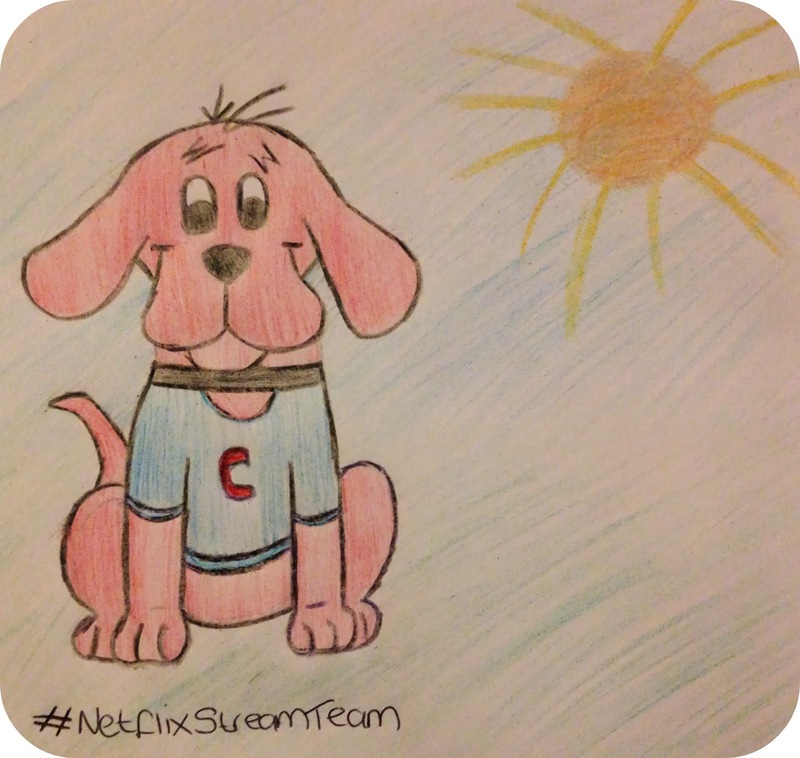 We were asked if we would like to get creative and submit a drawing of Clifford, so when Leo went to bed... I decided to do just that! Disclaimer: I was sent everything I needed to get started watching Netflix for the next 12 months. I have not been paid to write this post. All views and opinions expressed are completely honest and my own. and magic hides behind every corner. 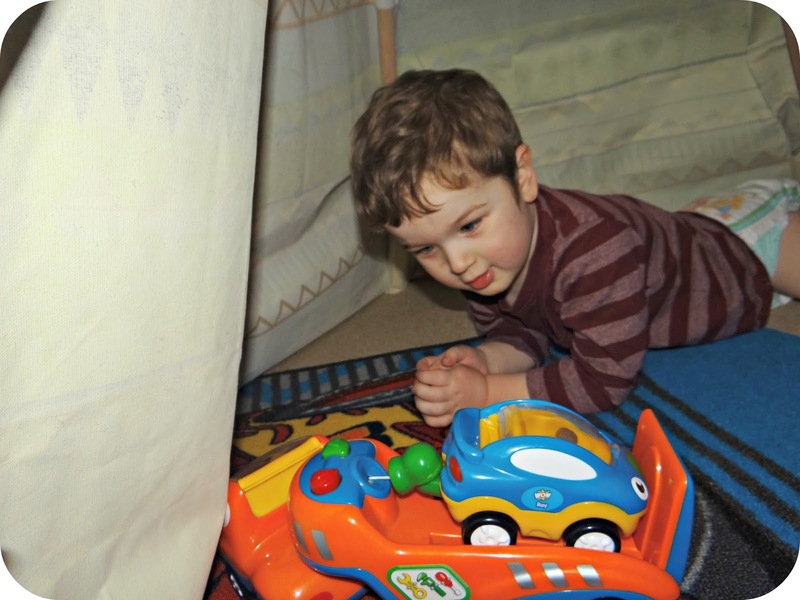 Give a child a den or a hiding place and they will have hours of fun, they will turn that den into a cave or a dungeon and their imagination will run away with them. 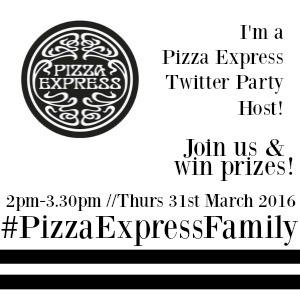 They may even get you involved. Leo gets me to hide away from Daddy with him, and we have to stay oh so very quiet until Leo decides to jump out and scare Daddy! 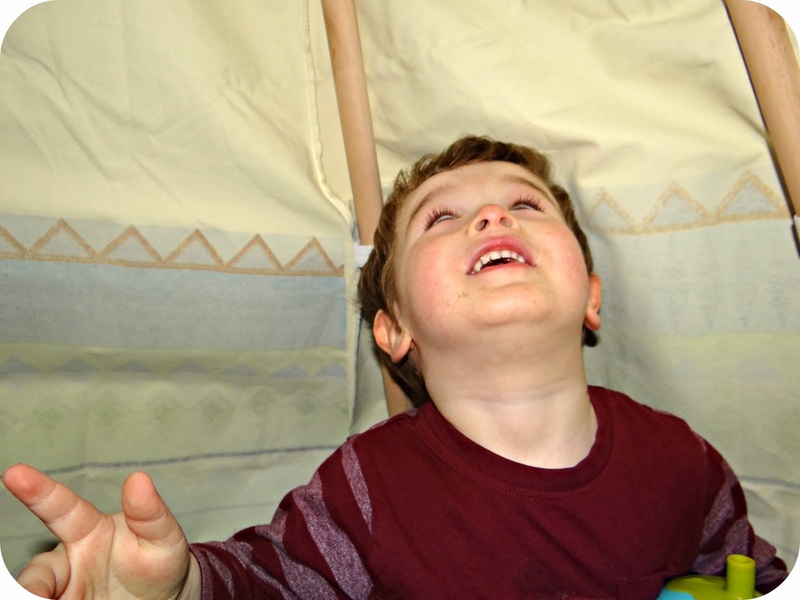 Leo was sent a wigwam from Garden Games just before Christmas, and it has now been set up in Leo’s room for him to use whenever he wants. He hides his favourite toys inside, and has even been sat inside with his disco ball as the lights bounce around on the interior walls. It’s Leo’s sheltered space within his bedroom that could put him anywhere in the world, on the most exciting of adventures. 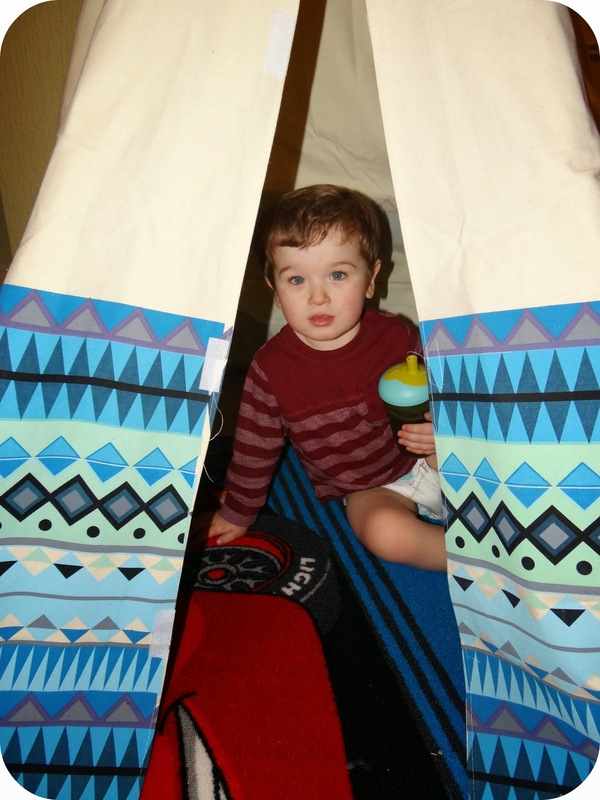 I love the freedom that simply erecting a wigwam in his room can give him, it can be a place to play or even just sit quietly and read a book. We have even put Leo’s bean bag inside on occasion so that he can sit down in comfort and be king of his castle. 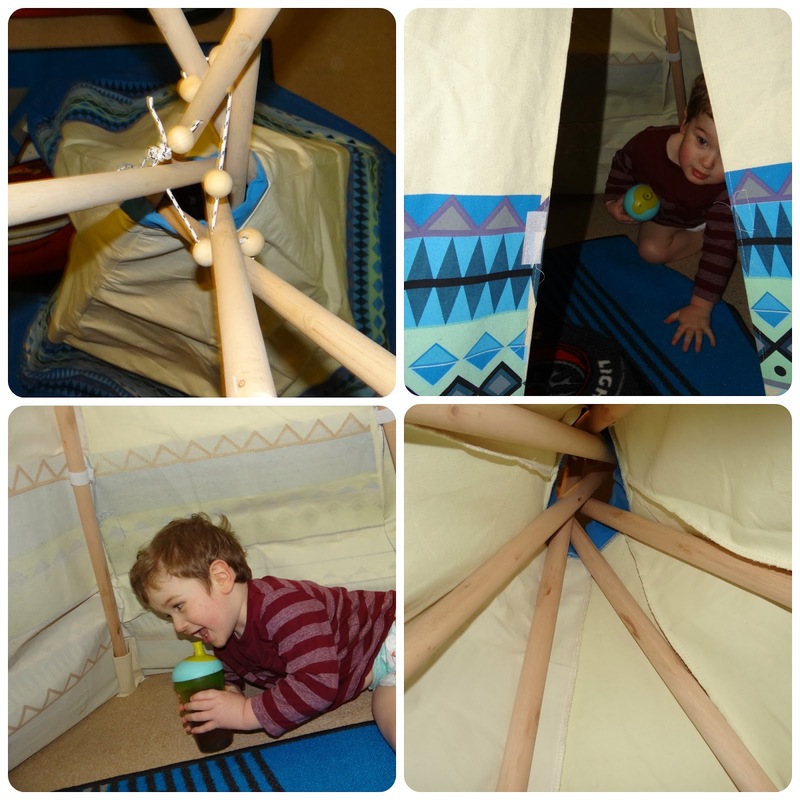 The Wigwam can be either an indoor or outdoor toy, it is made out of a strong canvas to help weather the elements, but for us I think it is something we will keep inside to make Leo’s room extra special. I found putting it together pretty easy, and it was just a case of joining up the poles with the plastic connecters. You have to make sure that the holes on the pole are directed to the top of the Wigwam when you slot them into place so that you can tie the string and the balls through them. Over all it is really simple to put together. We have had so many compliments on the Wigwam and it is not hard to see why, it is really well made and looks great. It is perfect for a little boy or girl in the Aztec design and definitely provides a great play opportunity. 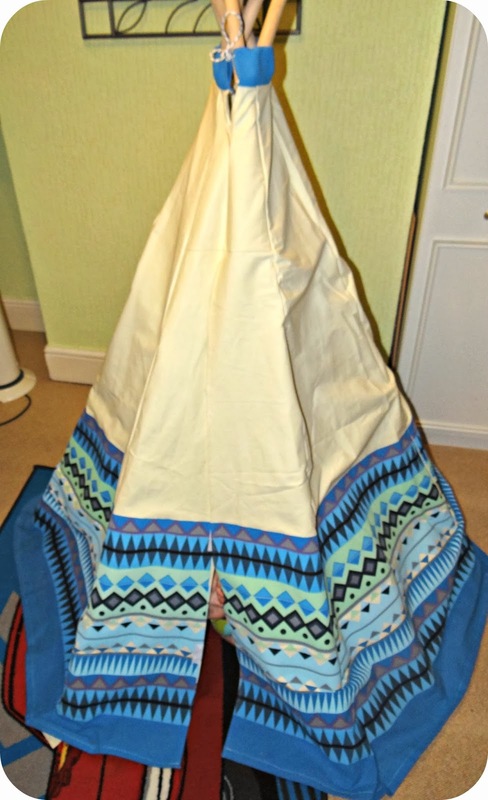 The Aztec Wigwam retails at £54.99 which I honestly think is a great price for the quality of this Wigwam. Especially in comparison to other retailers who are selling Wigwams at prices almost double this for very similar products. Disclaimer: We were sent the Aztec Wigwam for the purpose of this review. All views and opinions expressed are completely honest and my own. As with many aspects of life parenting presents you with many different choices to make and paths to choose along the way. I have realised recently that I am not one to follow any which way guide on how to parent Leo, I just take everything as it comes. You could say that I am simply winging this parenting lark, taking the good with the bad, the happy and the sad and making decisions as I go along. This means that I don't set un-realistic goals and I just let time work it's magic. Of course we make plans and we have structure in our lives, I guess that is why bedtime is a fun process and not a battle to keep him in bed. It is why he wakes up fully refreshed and ready to face the day ahead of him. 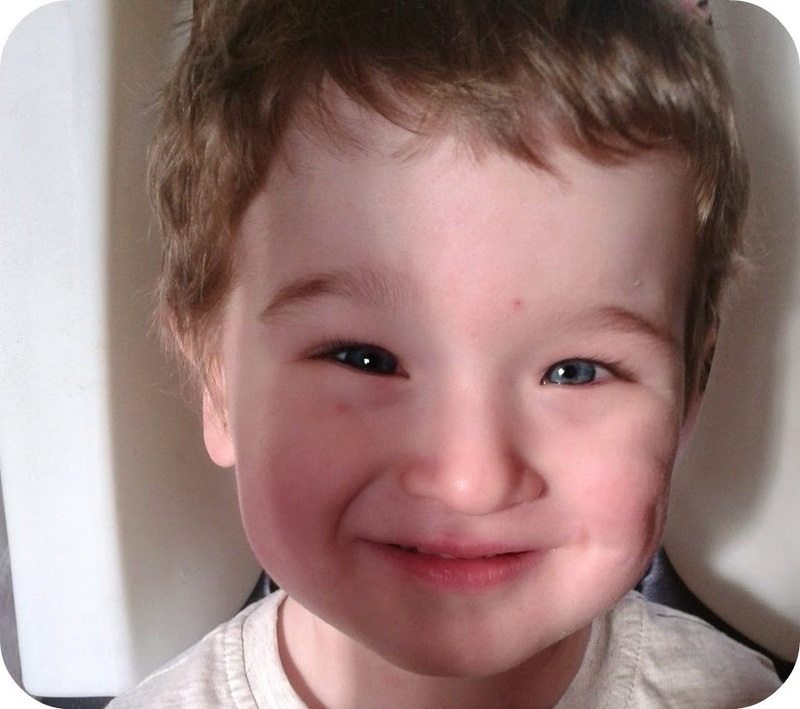 When I say I am winging it what I mean is I go with whatever life throws my way, I have never set a age where I thought 'I want Leo in a bed by the time he is...' or 'I will have the bottle off Leo by the time he is...' to me they are un-realistic goals that I couldn't reasonably enforce. They are simply aspects that evolve in their own time and I am not one to want to rush that along. 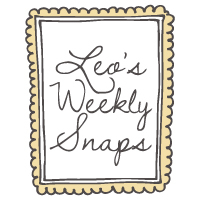 Every change that happens in Leo's life is ultimately governed by him, and the last couple of months have been full of change. 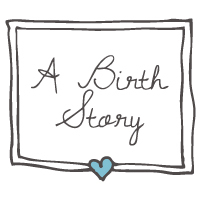 Leo made the transition from cot to bed, he began to leave blanket and his milk bottle behind during the day, he even started nursery and in recent weeks he has given up the bottle for good. 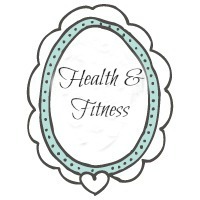 Each change has been easier than I ever anticipated, and I am sure it is because we have just let time work it's magic. 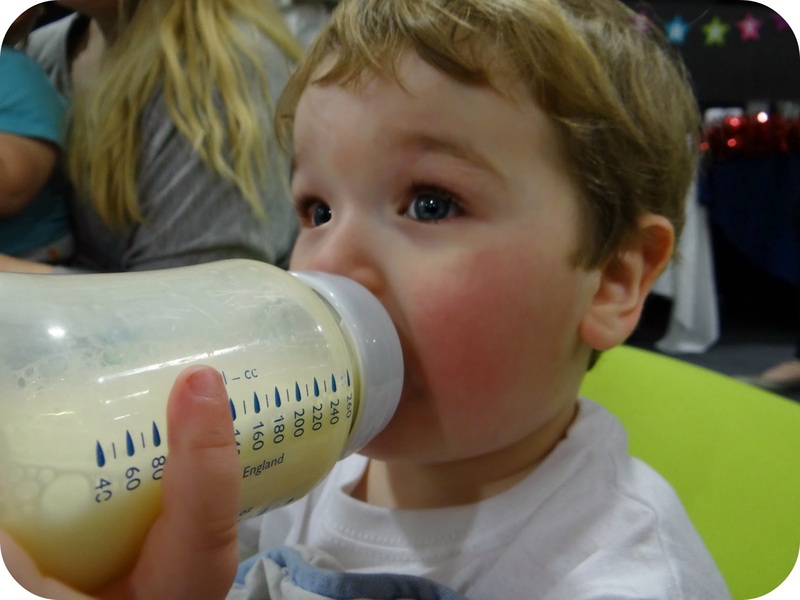 Leo has got to a point where he realises he no longer needs his bottle, and he understands that babies have bottles. He realises that he is now a big boy... Or a big girl depending on which time of the day you catch him! It was as though we had both come to a mutual understanding and decided that we weren't going to fight each other over it. Leo was given his beaker with squash as a compromise (water really would have been pushing it!) and we haven't looked back since. 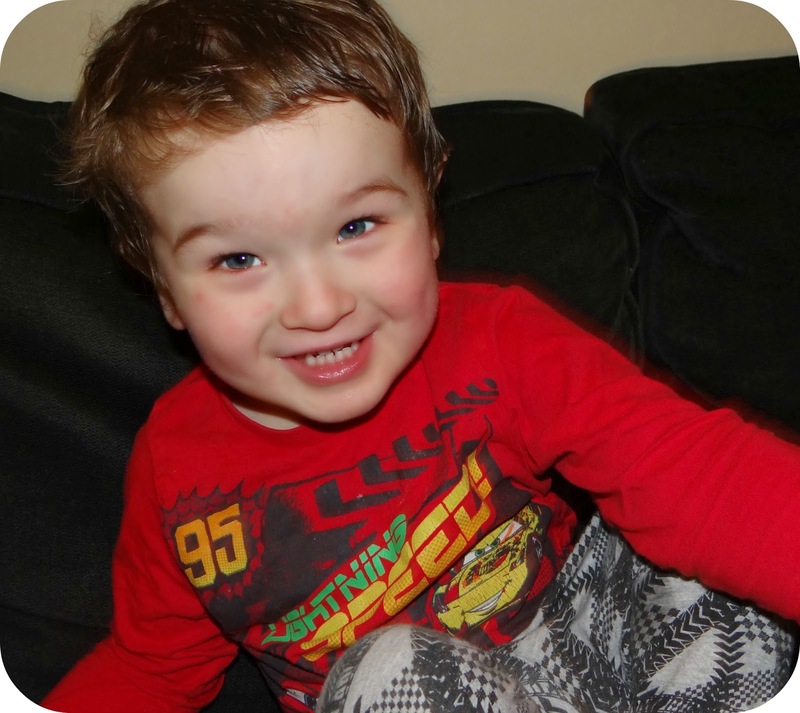 For the most part Leo is a really easy going little guy, of course I won't plaster over the tantrums because of course they go hand in hand with a two year old, but throughout everything he always has a smile on his face. I like to think my 'winging it' attitude reflects my relaxed approach to parenting. Everything that happens is played by ear, if it works great. If not then we will find another way to reach the goal. If something hasn't worked out this time around, we wait a few months and try again. We are currently on the cusp of potty training and this is something that we are being very relaxed about, we don't want to push Leo to fast to soon. It is something that we need to address when he is 100% ready. The potty has been out since he was about 18 months old, but until a few months ago he wouldn't even sit on it. We have progressed in the sense that he will sit on it these days, he tells us he needs a wee and we all sit there in suspense wondering if this will be the moment that he takes that first pee. I wonder if I should reach for the camera... Then... Leo gets up and declares that he is done. Only for us to discover he hasn't actually been. As with everything else I am sure that first wee-wee on the potty is not very far away. We will keep on winging it in our relaxed approach and we will continue to watch Leo flourish. Leo and I are big fans of WOW Toys, what's not to love about a toy that doesn't require batteries and offers endless hours of fun!? Each Birthday and Christmas we find ourselves in-undated with toys that require batteries and we always wonder why we inflict such a hard ship on ourselves. But we don't need to silent curse ourselves, we just need to research our purchases and turn our thoughts to WOW Toys. 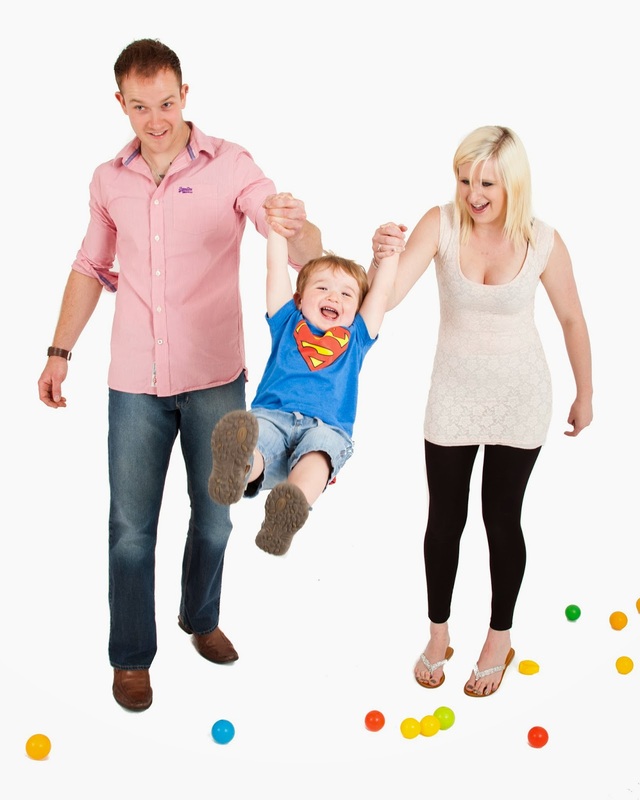 WOW Toys will put a smile on your little ones face, and your own to. 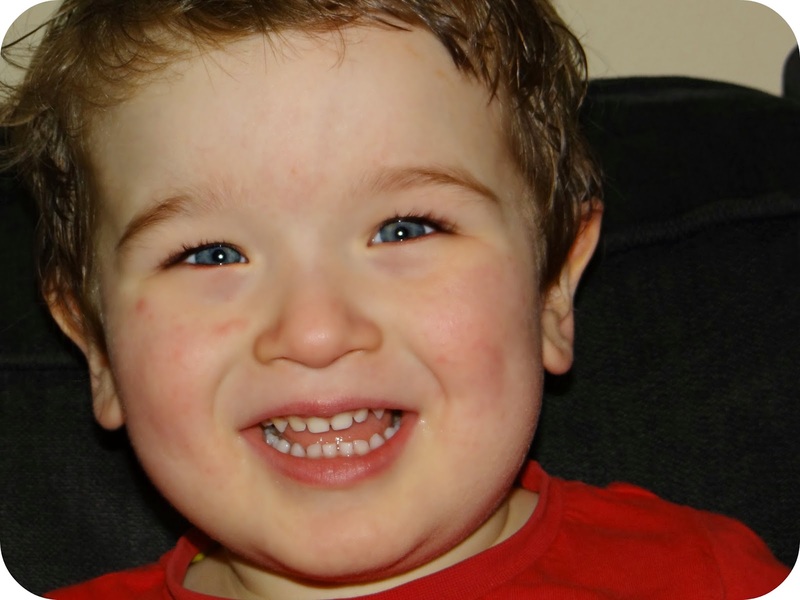 There is a fantastic selection to behold on the WOW website, and over recent months Leo has been trying one out for himself. Tow Truck Timmy is a toy like no other that Leo owns, yes like the majority of his toys it is vehicle orientated and absolutely it has wheels... But Tow truck Timmy can actually hoist cars up onto his truck and cart them off after they have had an unfortunate day on the roads. It is Timmy's job to pick up Rolling Ray. Rumor has it he is always getting himself into some kind of situation when it comes to his car, so it keeps Timmy in the money! In the box you will get Timmy's Tow Truck and of course Ray's car along with the hero Timmy and Rolling Ray themselves. There is so much that you can do with this set, and the scenarios can change for each new game that you choose to play. In fact if you have more than one WOW Toy like Leo does, you can even include them in the game. Tow Truck Timmy's Truck is fully equipped for a rescue operation, luckily for Rolling Ray. There is an extendable green magnet that you can pull out to pull Rolling Ray onto the rescue truck. You simply pull the green cord out far enough to attach it the magnet to the back of the car, this is the bit that Leo always likes to have a bit of help with. 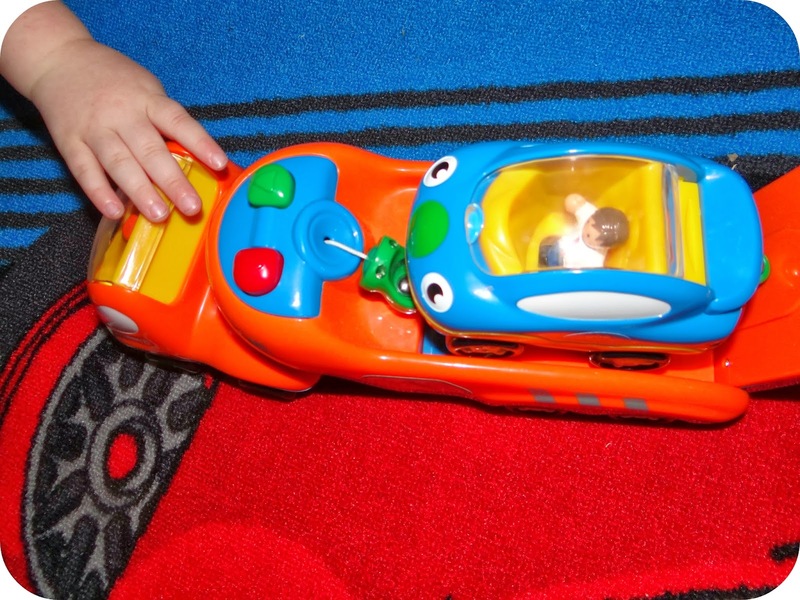 Once Rolling Ray’s car is attached Leo excitedly presses the Green button to roll Ray onto the vehicle. 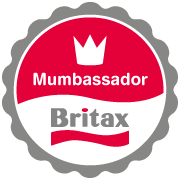 You can then pull the back door up to keep Rolling Ray from any more unfortunate car dilemmas (for today anyway…) and you can whizz him off to the repair centre for whatever repairs he may need. What you will notice as you whizz Ray away on the tow truck is the rather super car noise that it makes. The first time we had a play with Ray we were at Granny’s and even she commented on how realistic this sound was! This is the part about WOW Toys that always pleases me, it can do all of this with NO batteries! A side from everything this toy can do without batteries I have to mention just how well made it is. 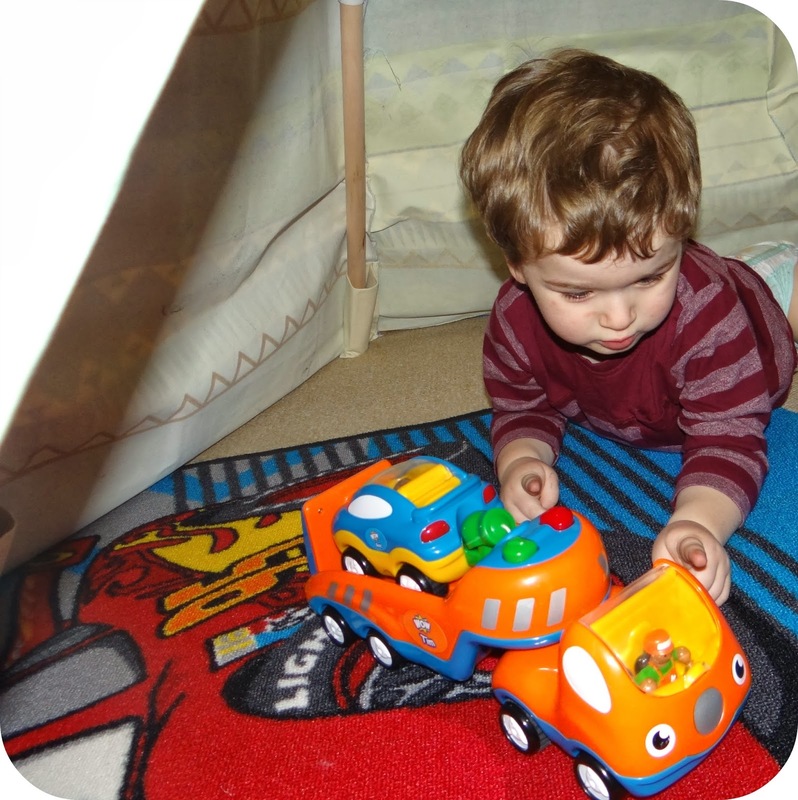 The tow truck and the car are solid and easy to manoeuvre, the plastic isn’t about to snap through excited toddler play (We have tried and tested this). This play set offers more imaginative play opportunities than you can wave a stick at, and this is one of many other reasons that I am a big fan. Because they don’t run on batteries it means you will never have to worry about not being able to replace them. 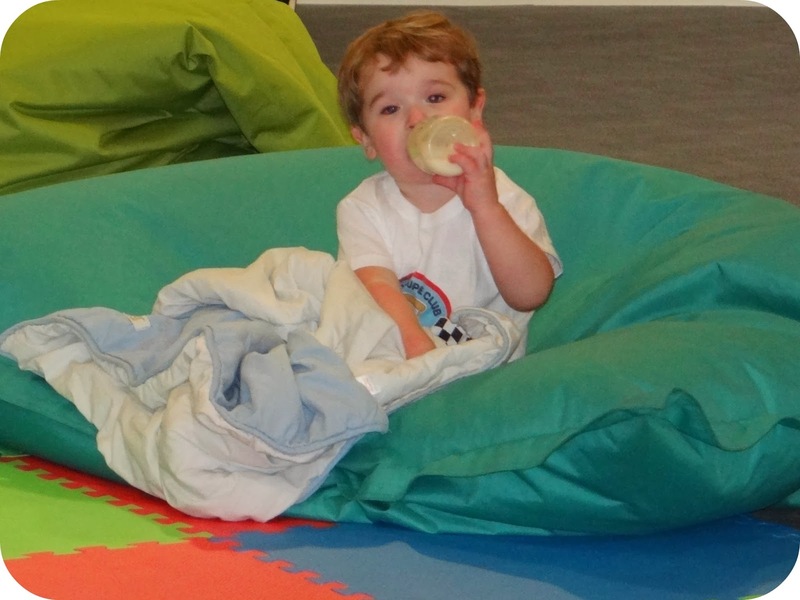 It means that every noise and every game is fuelled completely on the imagination of the child playing, and after all… That is what play time is all about. You might look at the price and think that they are priced a little higher than you may first anticipate, but then if you take the quality into consideration and then ponder buying a cheaper alternative that will only last 5 minutes… I think you will see where I am coming from. I am a firm believer that you get what you pay for, and for the quality that I have always experienced with WOW Toys this is apparent. Leo plays bumper cars where they crash into one another (Boy thing!?) and he just enjoys a proper playtime. You can buy WOW Toys from a number of online retailers and if you know where to look you can find them in the shops. We actually have a local garden centre who stock WOW and Leo and I like to have a look at what they have in from time to time. 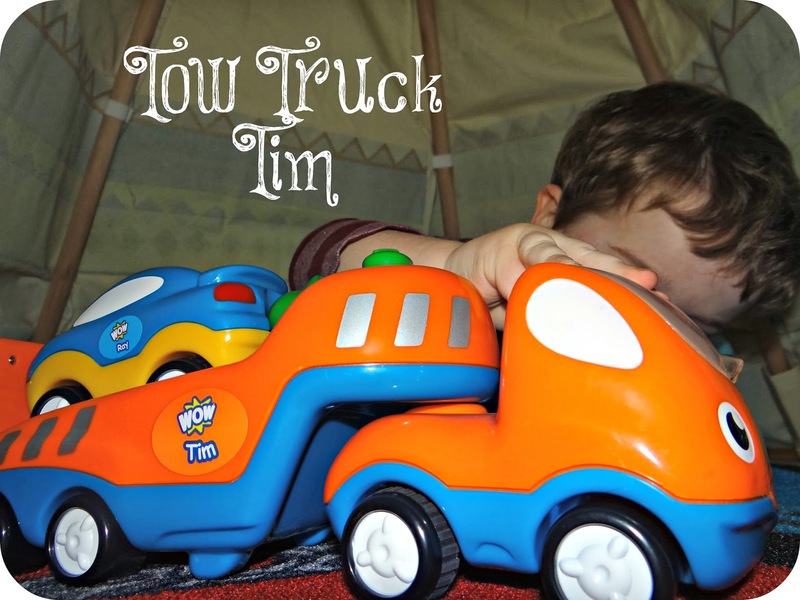 Tow Truck Timmy retails at around £20.00 and there is such a wide selection of different toys and scenarios to play out for both boys and girls on the WOW website! So if you want to break the mold and steer away from battery operated toys… Check WOW out and see what you think your little one would most enjoy. Or… If you are loving the look of Tow Truck Timmy and Rolling Ray, I have the perfect giveaway for you! Simply enter using the Rafflecopter form below and tell me what your favourite WOW Toy is? Disclaimer: I was sent Tow Truck Timmy for the purpose of this review. All views and opinions are completely honest and my own. Sometimes you have to cast your eye over all of the good that you have in your life. I know that I am one lucky lady. I have lot's to be positive about, I always have. 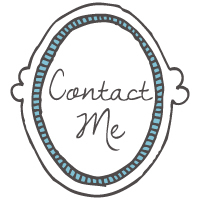 I have always had a family I can call upon if I need help for any one reason or another. I have loyal friends who I have journeyed on life adventures with, and I have the most amazing little man, Leo, my little boy who is always right by my side. He is growing and changing right before my eyes, and he takes my breath away in the same instance that he turns any frown that may creep upon my face firmly upside down. He makes me laugh and each milestone that he achieves makes me grow prouder by the day. You know that feeling when you become so proud you could quite simply just cry? 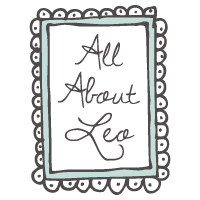 Leo makes me feel exactly like that. I don't want to cry because I am sad. Sometimes it is quite the opposite, it's because he fills me with such joy and I know that he truly is one in a million. When Leo says a new word or puts a sentence together for the first time, I beam. It makes me so incredibly happy, I can see him putting the pieces together and joining up his thoughts with what he wants to say, closing that bridge of frustration that sometimes surfaces. I watch him soaking in the world around him, every conversation he hears or image that he see's is being absorbed by his being all of the time. A blank canvas being painted with all colours of the rainbow as he explores the world around him and see's everything through his crystal blue eyes. His child's eyes that see nothing but the magic, he knows only the good and most innocent of things about this world that we live in and I wouldn't have it any other way. Right now he see's wonder all around him and simply spying a Squirrel out of the window are the things dreams are made of. We sat and watched Mr Squirrel this morning and he couldn't take his eyes away. The wonder upon his face at the sight of this Squirrel burying his nut outside in the garden, taking it all in but not really understanding what exactly this mystery animal was doing, or why he was doing it. We play together until Leo is laughing so hard he actually has the hiccups. 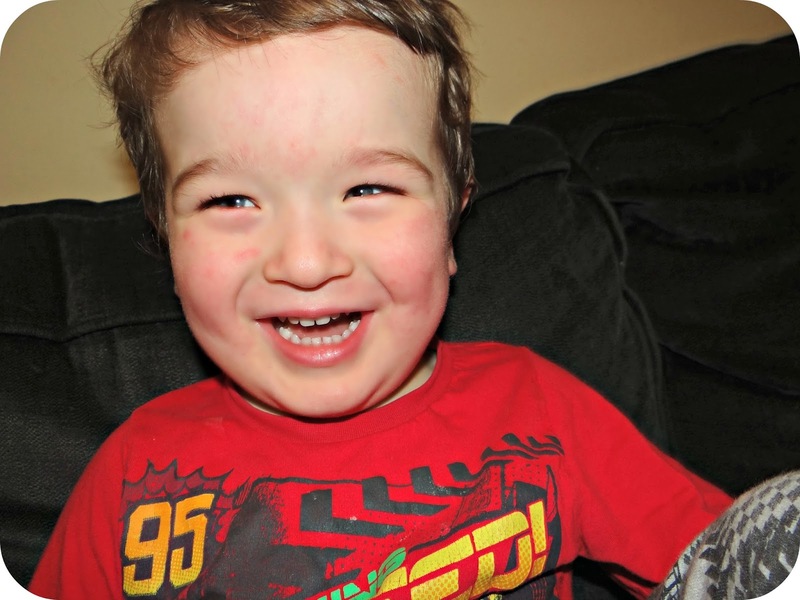 He laughs and tells me to 'let go' and in the next breath he is asking for 'more', until he is laughing so hard that those hiccups keep on coming. Then bath time will roll around and he will insist on filling up his Buzz Lightyear water gun, and when someone mysteriously squirts the wall in the hallway... From the bath I might add. He waits for the question to be posed to him 'Who squirted my walls!?' and with the question out there, Leo giggles. He looks at me and then at the wall and shouts 'Me!' or even 'I did it!'. My cheeky little guy strikes again. Leo knows that he is loved, he is told all of the time. He tells me he loves me more. He is even trying to say 'Love you to the moon and back' but right now it just comes out 'moon and back' which may be even cuter. When he gets in trouble he will come and give me a big kiss, thinking that kissing me will get him out of any trouble that may be coming his way. Sometimes he couldn't be more right. But when he does get put on those steps he serves his time with no complaints, he sits perfectly still on that bottom step. In fact he refuses to come off it. That is when we have the temper tantrums. 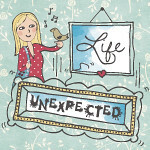 When you look at all of the good things that you have in your life you really do realise how much you have to live for. It makes you re-evaluate everything. I may not be where I had hoped to be career wise, own my own home or have the Mini Cooper that I have been dreaming of, but I do have a family. A little boy I couldn't be prouder of if I tried and the appreciation for all of those people in my life that make it extra special. 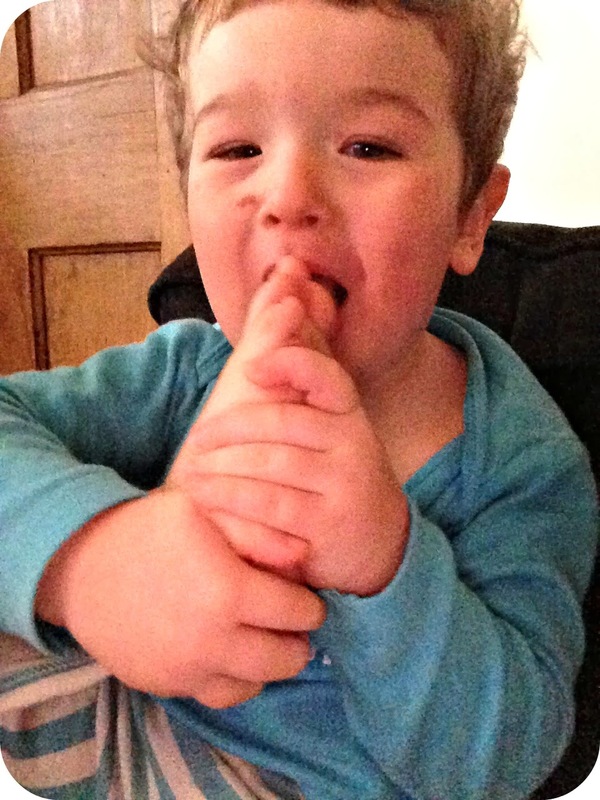 I cannot even begin to fathom life without my cheeky toddler, not even if I tried. I love not knowing exactly what is around the corner. We are armed with our blank canvas and rainbow paint, and we are riding the rollercoaster to wherever it may take us. Up until last month you were guzzling milk just like you always did. Anywhere that we went we had a bottle and of course blankie in tow. 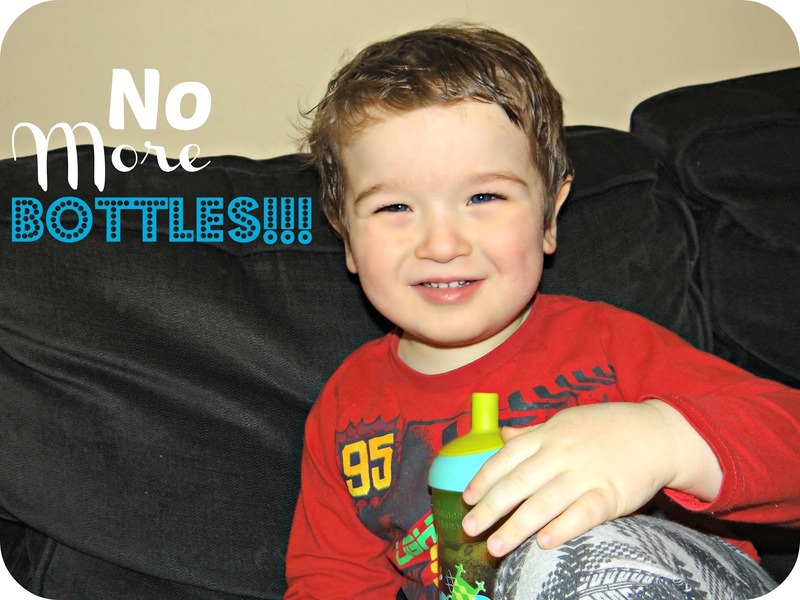 After your 2 and a half year check we made the conscious effort to remove your blanket and your bottle from day to day life. We tried to make you understand how you could still have them, but they would be reserved primarily for nap times and bedtimes. You surprised us all and accepted this as though it had always been that way. You may have slinked off to bed for a cheeky bottle and cuddle with your blanket, but you knew that your bed and two favourite items went hand in hand. You have been growing up so quickly of late, it seems that each week see's you outgrowing another part of life as you have always known it. We moved you into your new bed along with your new mattress, and I was very aware how you would spill your milk all over the bed when you closed your eyes for the night. We moved your toy box next to the bed and told you to put your milk on the box when you were finished. For a few nights that's exactly what you did, but then we reverted to old ways, and I had to come in and make sure your bottle wasn't leaking. Last night when I came in to check you had spilled milk all over the bed, so we had to transfer you into my bed while we got your bed changed and ready for you to come back into. As soon as your head hit your pillow again the pleading for milk began. I told you that there was absolutely no more milk tonight as you weren't following the rules. Your cries for milk then changed for juice... I pondered this for a moment and saw a chance. I thought maybe if you had a beaker with some squash we may have a fighting chance at getting rid of your bottle! I went downstairs and got your beaker, all the while thinking that you were going to change your mind and want your bottle back as soon as I got back to your bedside. Only you didn't. You took the beaker and you drank it, you even went back to sleep. You woke up today and were again content with your juice bottle. Nap time came and you were still more than happy with your beaker of juice. Not once all day did you even mention your bottle, and I wondered whether we were onto something. The real test would be bedtime, a time where you always have blanket and bottle.. Together. Your two comforts together at the time you are snuggling down to sleep. So tonight I took you upstairs just like I always do, I tucked you into your racing car bed and handed you your banket. Only tonight instead of handing you your bottle of bedtime milk, I handed you your beaker of juice. I half expected outrage that you were missing your milk bottle, but you took the juice and you kissed me goodnight. Just like you always do. You lay down your head and off to sleep you went. Growing up that little bit more right before my eyes. You awoke an hour later asking for your 'juice' and I told you that it was with you. You picked it up and went back to sleep again. Completely just taking the latest change in your stride. On the 18th February 2014 we waved a fond farewell to your bottle. A bottle I have had to replace countless teats for over the years and keep topped up with milk ready for you to guzzle down. But now it seems that you have taken another step into growing up, and the bottle has been cast aside. Cats have always been a hugely popular choice of pet for people of all ages; they’re loving, affectionate, interesting and relatively low maintenance in comparison to many other pets. Therefore if you’re thinking of getting a pet for your family that includes young children, you may have considered a cat. However, there are of course many important things to think about, and you may have some concerns regarding how the two will get on together, and whether a cat would pose harm to your young child. 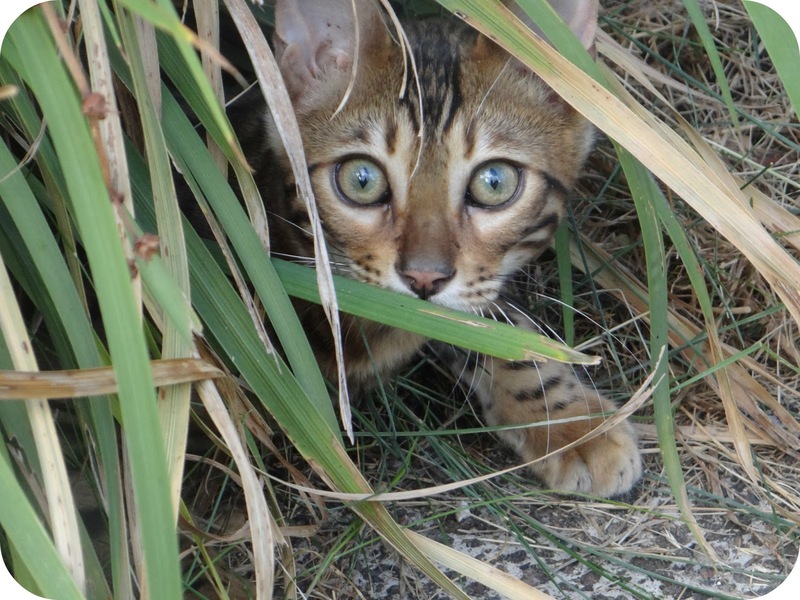 Breed: many people often don’t realise that cats can vary enormously depending on their breed, just like dogs. Therefore it’s well worth doing some research into suitable cat breeds for your family, as some are known for being much better with children than others. Age: the age of cat you go for can also have a huge impact on their personality and the level of maintenance they require. Whilst it may be extremely tempting to go for an adorable kitten, you may be better off opting for an older cat as kittens will require thing like toilet training and spaying and neutering. Consider how you’d feel about having two newborns in the home! 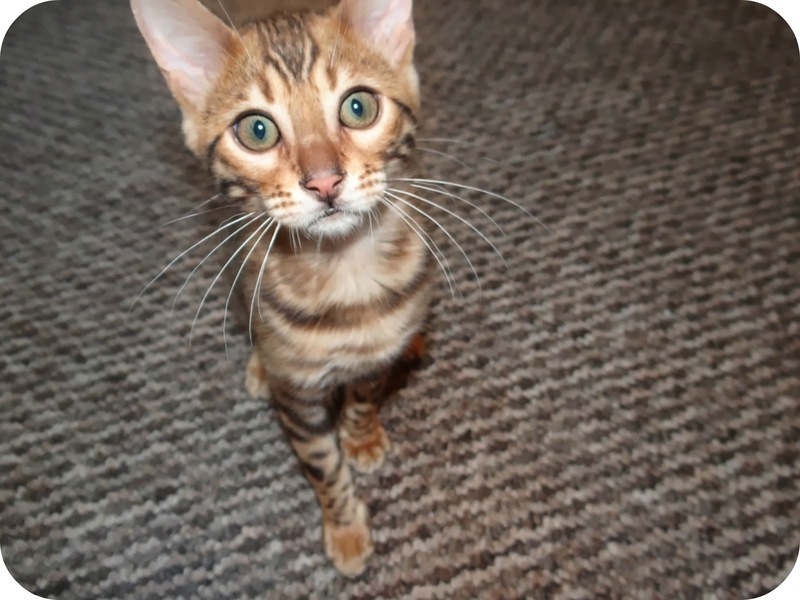 There are also a large number of perks of having a cat, especially for your young children in their early life stages. 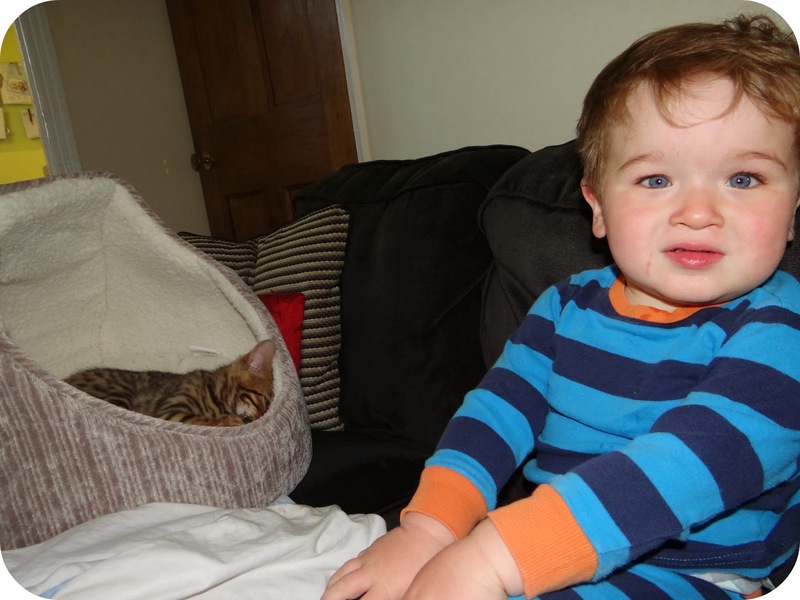 Reduced allergy risk: by having a cat in your household, you can greatly reduce the risk of your child forming allergies against animals and other common sources, as it aids their immune system. Studies have shown that 30% of people who got a cat later in life were allergic to them. Companionship without maintenance: of course, no pet is maintenance free, but cats are arguably one of the options that require the least. For instance, they don’t need to go outside or for walks to go to the toilet, they clean themselves very well, and they are usually independent and are therefore happy to do as they please. 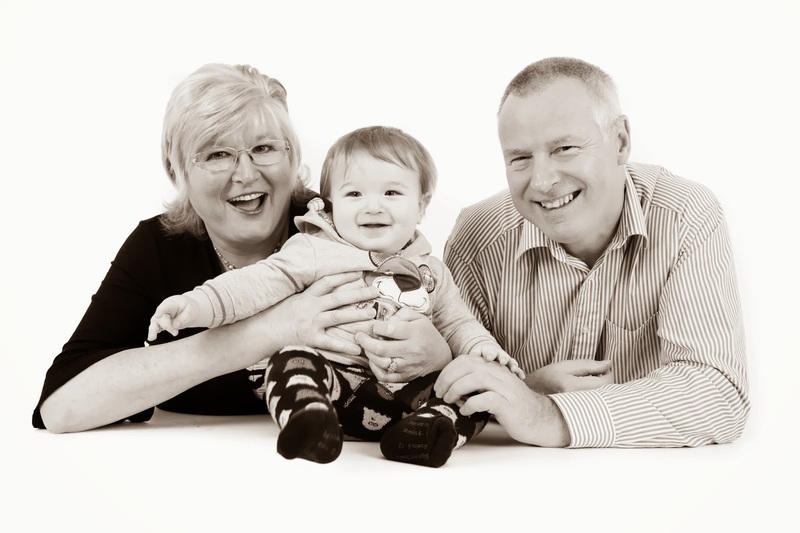 They can be a great way to introduce your children to companionship and responsibility as they grow. If you do have your heart set on a cat, you’re certainly not alone as an estimated 19% of households in the UK include a cat. Therefore we’ve also added some tips and things to remember regarding living with a cat and a young child. We are already in our second month of 2014, and I am sure that time just keeps on running away with itself. With Christmas packed away into all of the many bags and boxes that it seems to fill, we are rolling head on into the New Year. January is always a dull month, I find that it falls into the dark shadows that December leaves behind in the wake of the bright twinkly lights and magic that fills the air. January is a time that you realise just how generous you have been with your money and vow to save every penny, especially if you have fallen down into your over draft over the festive period. January is a time for keeping those resolutions that you pledged to yourself at the end of the year, and saving pennies in a pot to make every penny count. Ultimately we are all prone to guilty pleasures, indulgences that if we went without could save us £££ if we were to really put our minds to it. 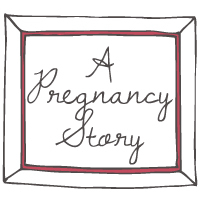 It may be smoking or enjoying a bottle of wine, maybe too many takeaways *hides all of the fast food menus around the house*, or frequenting on one to many shopping trips… It could be absolutely anything. We are all guilty of it to some extent. Have you ever wondered just how much money you could save if you were too kick these habits? 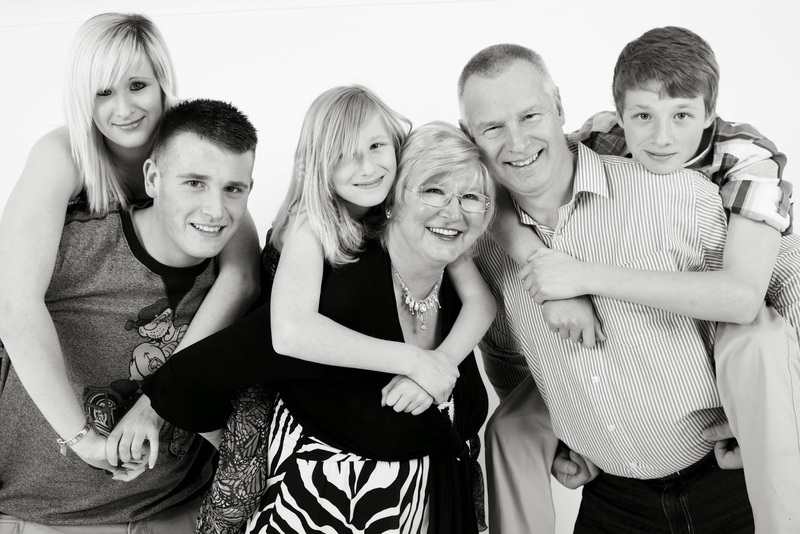 Leeds Building Society has launched an interactive guide that is designed to help you ‘Kick Your Habits’ throughout 2014. The purpose of the new Kick Your Habits guide is to show you how much you could save if you were to hold your wallet tightly, stand strong and throw those habits to the curb, maybe then even reversing the car back and forward over them? I actually took the time to go through the interactive guide, it's no secret that I indulge in takeaways more often than not on a weekly basis. I even treat myself to a lazy lunch a couple of times a week because time seems to run away with me and I never find the time to make lunch to take with me. So here is how much I could potentially save if I was to personally 'Kick My Habits'. 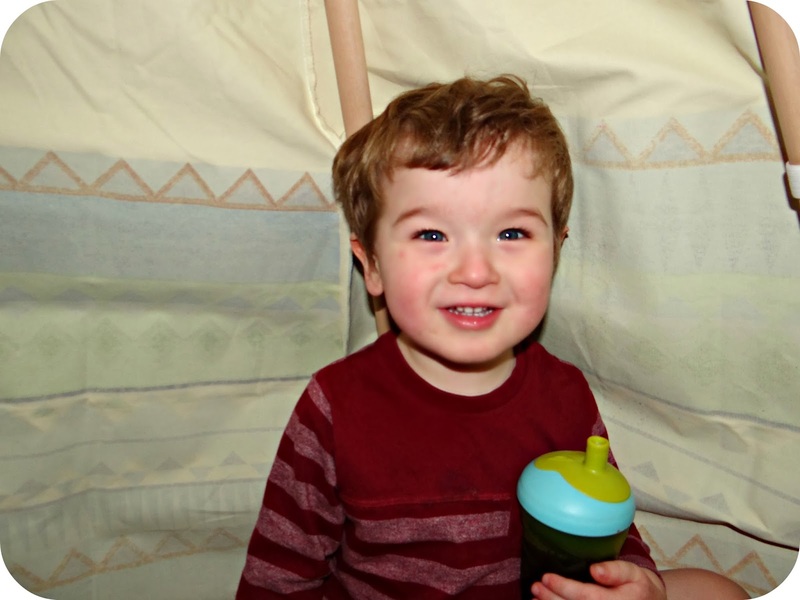 Last year we tried out the Chill Factor Slushy Maker, and were really impressed. So much so that we had to get one in for my younger sister who was thrilled to be able to make slushy treats whenever she felt like it. 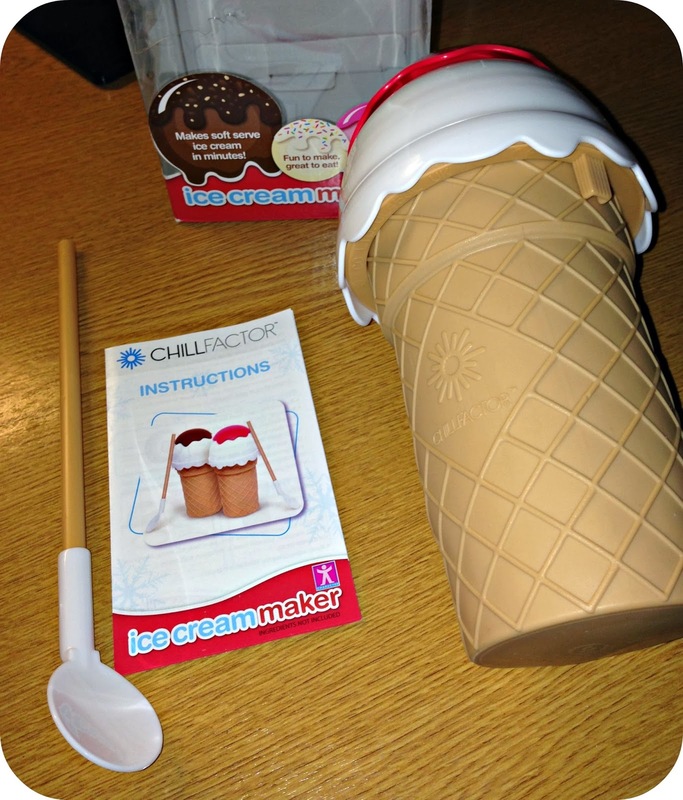 The Chill Factor Ice Cream Maker is designed to look fun, and just by looking at it you know that it has absolutely everything to do with ice cream. 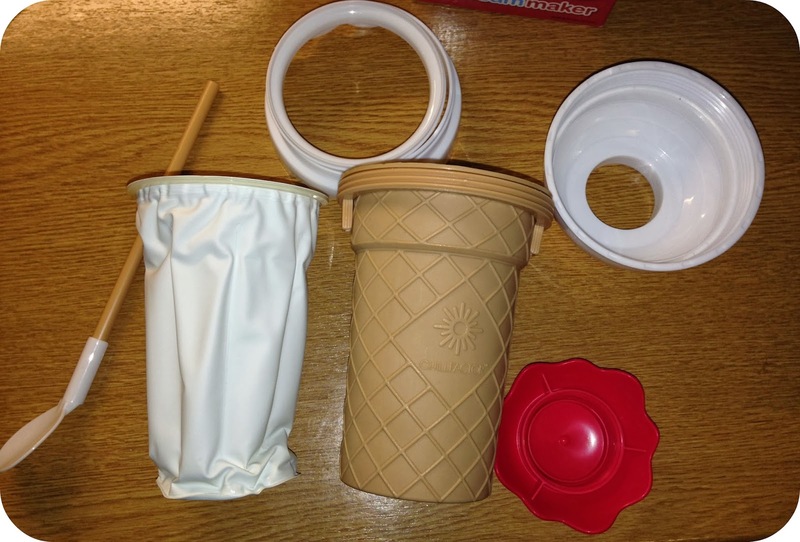 The ice cream maker looks like an ice cream cone, and promises an easy to use/quick at home system to make your very own soft scoop ice cream in minutes! Leo knew exactly what the ice cream maker was as soon as he laid eyes on it, and he kept shouting ‘ice cream’ at me. I had to explain to him that before we could make any ice cream I was going to have to put the cup in the freezer for a few hours. I found the instructions simple to follow and they were very similar to the Slushy Maker Cup. - You need to place the Ice Cream Maker in the freezer until the cup is frozen. I found it easier to leave it in overnight as I then knew for definite that it was ready to use. - Use the recipe guide (included in the Ice Cream Maker packaging) to measure out all of the ingredients that you will be using for whichever flavour you will be making. I opted for the Vanilla which consists of single cream, vanilla essence and an optional dash of sugar. 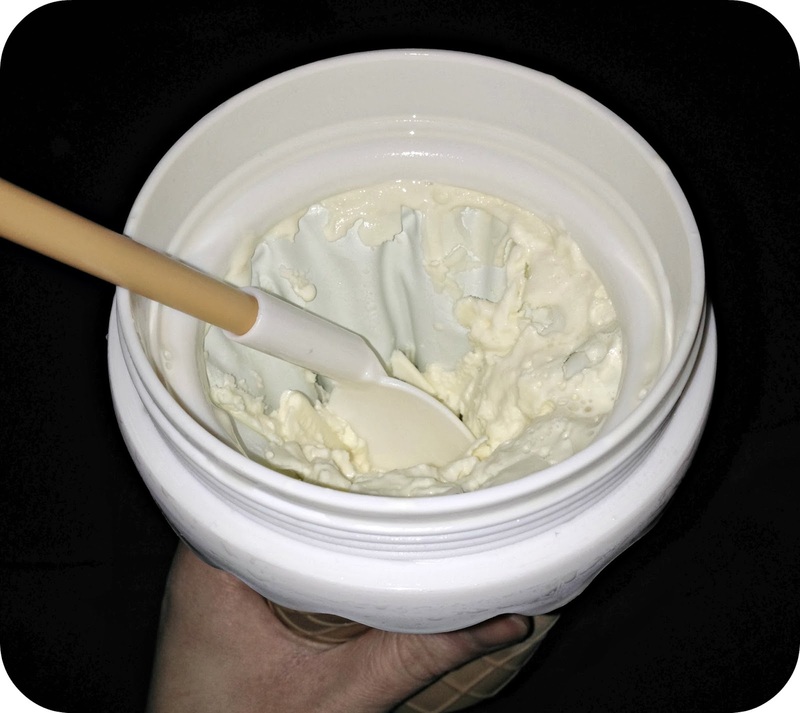 Tip all of the ingredients into the Ice Cream Cup, put on the lid and shake it all up together. - Remove the lid and begin to squeeze the sides of the cup. Keep squeezing and within a few minutes you have your very own soft scoop ice cream. I was impressed with how quickly the ice cream came together, I was really not expecting it to actually even resemble ice cream at all! But it just demonstrated that even I could make an tasty ice treat with a little bit of guidance. On our first try I don’t think I shook all of the mixture together for long enough. What I think I will do next time is mix the ingredients in a bowl and then transfer them into the cup ready to squeeze. One other thing I found was actually that some of the ice cream went a little bit to iced in comparison to the soft scoop, but the longer it was in there the more icy the ice cream became. For me I don’t think it is the quickest way to get your ice cream fix, but for children I could imagine them absolutely loving the idea of making their very own ice cream. The possibilities for different flavours are endless, and there is no reason that you shouldn’t make your very own flavour creations! 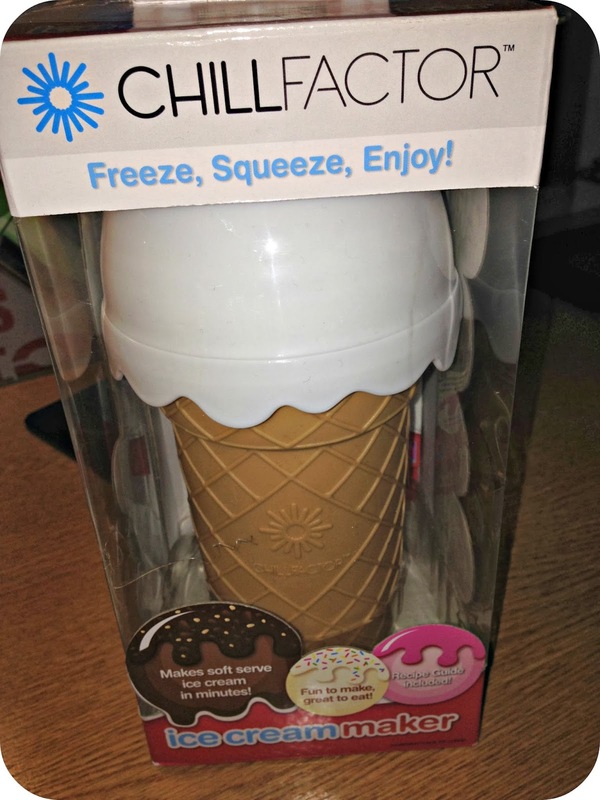 The Chill Factor Ice Cream Maker retails at £14.99. 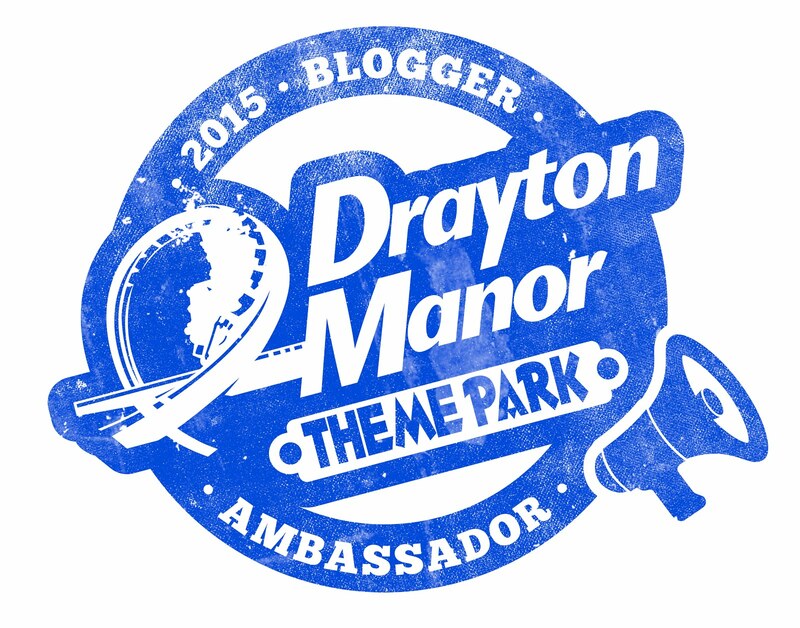 Disclaimer: I was sent the Chill Factor Ice Cream Cup for the purpose of this review. All views and opinions expressed are completely honest and my own. Your wedding day should be memorable for all the right reasons, but all too often the focus is removed from the commitment the bride and groom make to one another in place of a glitzy venue and all manner of distractions, from show-stopping crystal-encrusted gowns to novel portable photo booths. If you want to go back to basics and make sure your big day is all about you and your spouse-to-be, take a look at the following tips for inspiration. To keep the focus of the big day on the bridge and groom, look for a simple venue that won't detract from the real meaning of the event. Somewhere with understated charm will help maintain attention on the proceedings, so take a look at simple venues like barns, which boast rustic appeal but are essentially blank enough canvases for you to add your own personal stamp in the way of decor. You can browse a wide range of barn venues at Country House Wedding Venues, where you'll find traditionally-restored 18th century vaulted barns and stylish and contemporary options, many of which have won awards. When planning your wedding, come up with some themes you'd like to incorporate into proceedings; perhaps there's a specific place you and your partner think of fondly, or maybe you both have favourite colours you'd like to work into the celebrations. You could get married in your favourite location, or nod to it by making a map of the area and putting it up as a seating plan for your guests, for example. 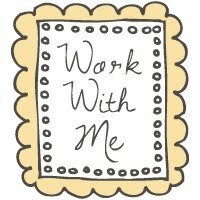 Try to work your themes around joint interests or likes that you and your partner bond over. Instead of handing out sugared almonds to your wedding guests, choose favours that will reflect your personality or something you, as a couple, share. If you're a pair of bookworms, think about making bookmarks and giving one to each guest, while wine lovers could gift their guests a bottle stopper each. 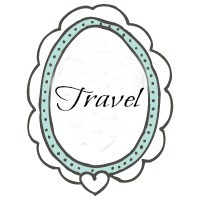 If you enjoy travelling together, you might give your wedding guests luggage tags, while keen tea or coffee drinkers might want to give each person in attendance an engraved coffee spoon or a tea bag infuser. For many people, their pets are members of their family, so why not include beloved furry friends in your big day proceedings? You could invest in a special smart suit for your four-legged friend, or make some decorative items like a spangly bow tie for or a floral-detailed dress. You could even take things a step further and let your cherished pet bear the rings and bring them to the bride and groom as part of the ceremony! The commitment you make to one another on your wedding day will potentially be the most important words you say to anyone, ever, so consider making them your own. While sticking with traditional vows might have meaning for some couples, others might feel happier to express themselves using their own words and references. Your partner may have a favourite poem or lyric you might want to recite for them to make the ceremony extra-special, or you may have a way with words that you want to use to make sure your loved one knows just how special they are to you. I frequent London on a regular basis, and Leo has come along to all sorts of wonderful events with me in our sparkling capital over the years. Throughout all of those visits though we have never taken him along to be mere tourists exploring the city that never sleeps. Each visit has always seen us hopping on and off trains, in and out of taxis on our way to wherever it is we are supposed to be. Therefore we have never really had the opportunity to experience London as you should experience it. 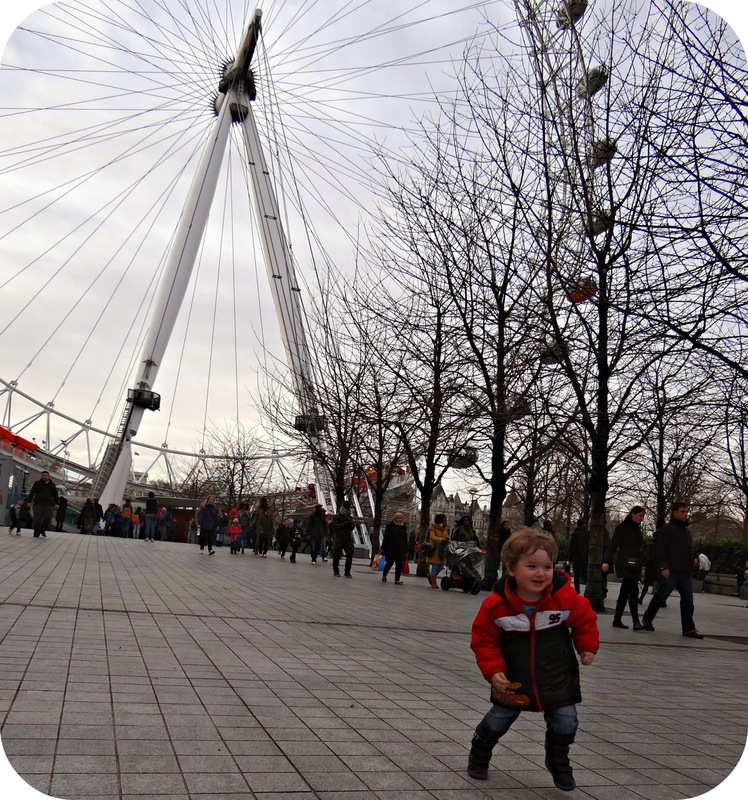 Now Leo is getting older and is at a great age to be experiencing new adventures we decided to introduce the idea of visiting the London Eye, otherwise known as the Millennium Wheel. 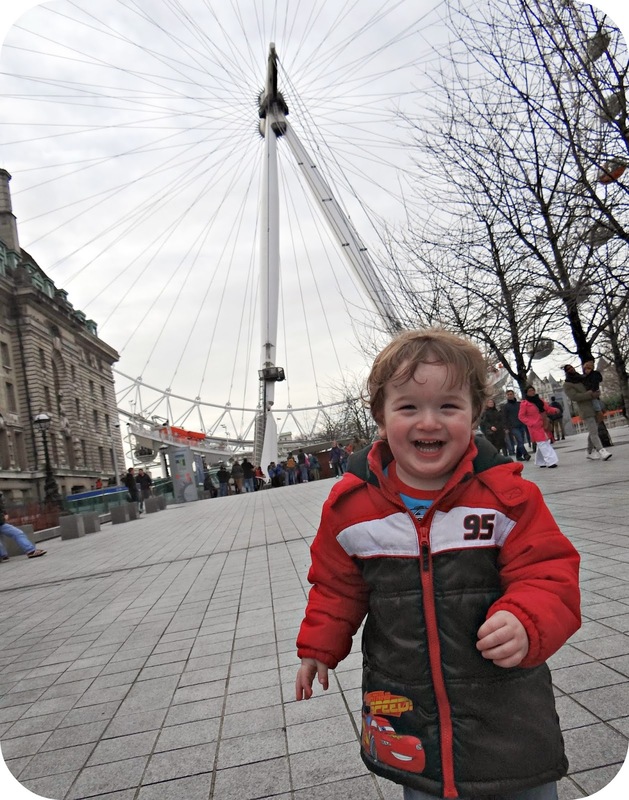 A week or so before our impending visit to London, Leo saw the London Eye featured on Something Special when Mr Tumble paid a visit. 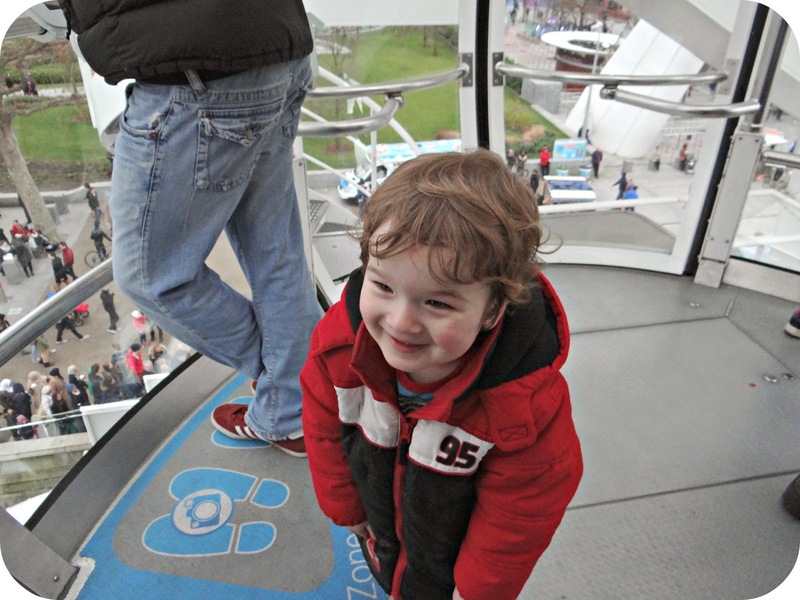 Leo was really interested and seemed excited at the prospect, he began referring to it as the ‘Big Wheel’. 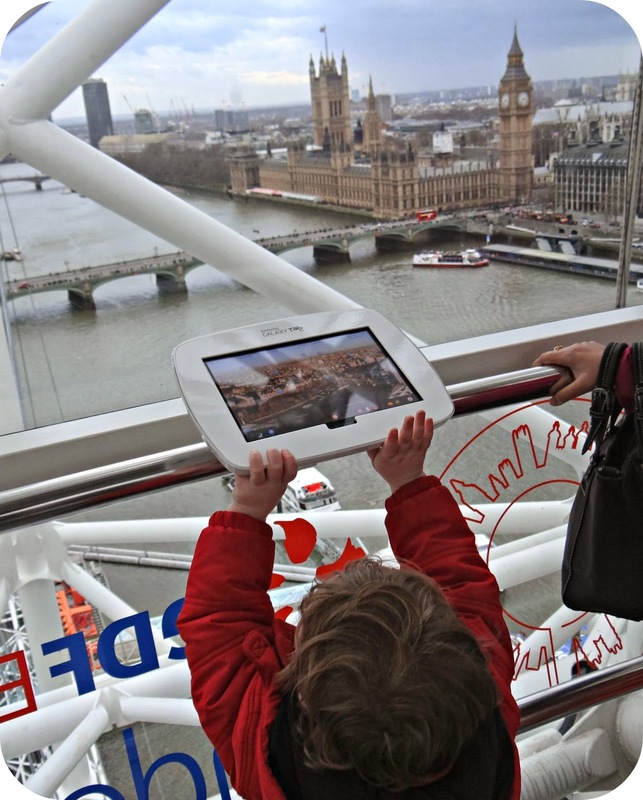 In terms of getting to the London Eye it is in prime location and is easily accessible by tube. Getting a taxi is easier than ever before with the Hail app that enables you to book a taxi with registered cabs within your local vicinity. We loved Hail while we were touring around London and found it a really helpful tool. We had already reserved our tickets and just needed to collect them from London’s County Hall which is actually right by the London Eye. We actually faffed up the steps with the pushchair but if we had just walked around the side of the building we would have seen that there was a ramp to provide access for wheelchairs and pushchairs. Getting the tickets was easy even though the ticket hall was full of people, but it was nice to see that there were people on hand to ask any questions and point you in the right direction. With our tickets we made our way out into the January climate and found our place in the line. We were informed that the wait would be about 20 minutes, and I was pleased that it wouldn't be much longer. 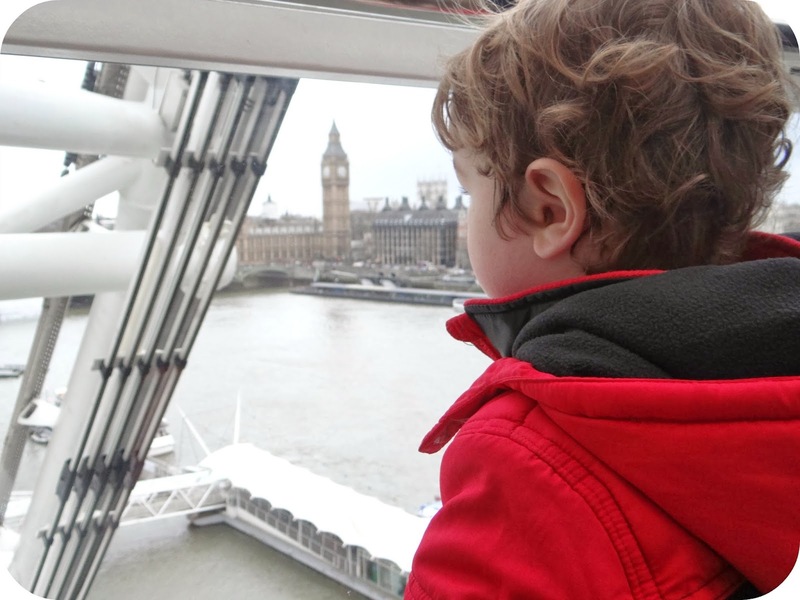 Luckily we could still have Leo snuggled up cosy in his pushchair until just before we boarded the London Eye. Leo was really excited and beginning to get impatient, waiting for things to happen has never really been a strong point for my active 2 year old but he was kept amused when Daddy had to have our suitcase hauled through security checks. Luckily they were happy for us to take it on board once it had been cleared through the x-ray machine. Just before we got to the boarding stage I got Leo out of the pushchair and folded it up so that we could make a quick dash onto the next available pod. Leo did really well hopping inside while holding my hand, and very soon we were slowly climbing up into the sky. We were flying high now! Of course… The emergency button! You see this face!? well this face is a toddler who knows that he shouldn't press the button but will try with all his toddler mite. Suffice to say I kept a very watchful eye on my button pressing two year old as we gently flew around in our pod. Aside from this one near miss, Leo loved looking out of the window, seeing the Big Ben and watching the clouds roll by. While we were up there I could feel the wind picking up, and could sense that we were evidently in for some stormy weather. The views from the London Eye are really something special and you see something new each time you make the flight. 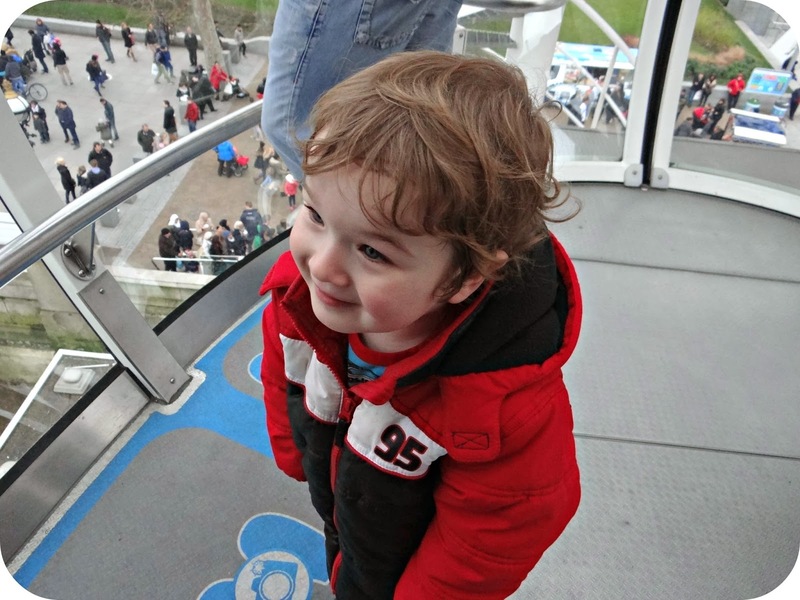 I was so excited to be able to take Leo on his very first London Eye experience and I know that the next time we pay a visit… times will have changed again. 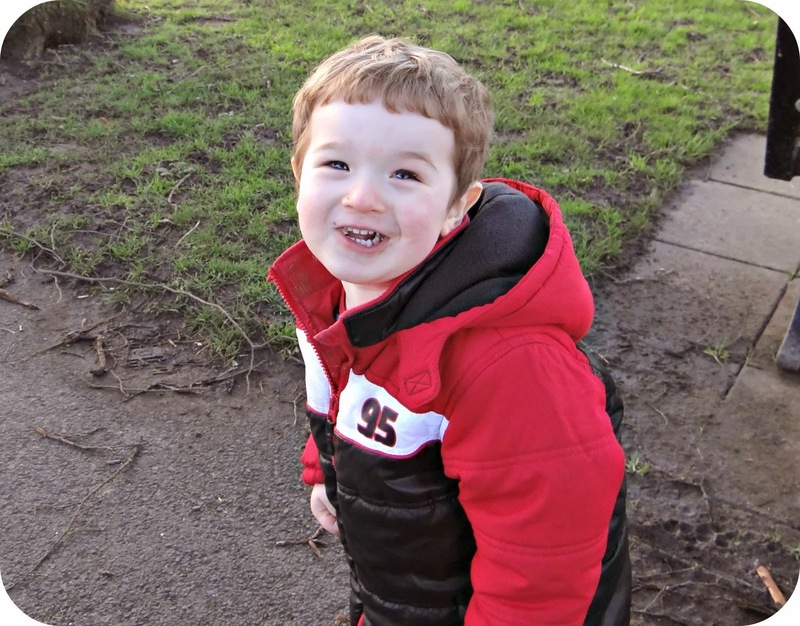 We will be able to leave the pushchair behind and take our very grown up boy to the skies again, where he will find a whole new appreciation for the experience. Disclaimer: We were issued with tickets for our London Eye experience in exchange for my honest opinion.